Sweet Claudette is Detroit's matriarch of the Blues, and she comes to you with her latest release "That Man's Got To Go." She's a sultry, deep voiced singer and songwriter with Blues songs that run the gamut of funk, soul, country, and jazz influences, in addition to classic uptempo and slow blues. Sweet Claudette takes you out to the party where she is queen and holds court. She fronts a 6-piece band with a fantastic horn section that intertwines throughout her music. 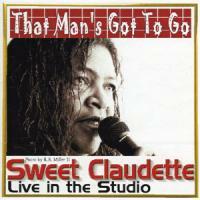 Sweet Claudette is the epitome of a Detroit finger snapping Blues party, and is the master of the low down. Sweet Claudette has achieved local, regional, national and international success singing the blues to fans in bars, clubs and lounges from Michigan to Alabama and throughout Canada. 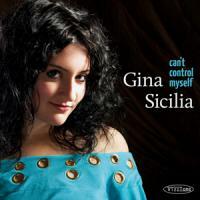 Young Philadelphia songstress Gina Sicilia exploded onto the scene in 2007, as her debut CD, Allow Me to Confess, was met with joyous acclaim by fans and critics alike. She was heralded as a distinctive new voice in the Blues, as well as an insightful songwriter and interpreter of neglected classics in the Rhythm & Blues canon. In 2008 she was nominated for “Best New Artist Debut” at the Blues Music Awards in Memphis, Tennessee, just as her sophomore release Hey Sugar proved her also to be a legitimate contender in the worlds of Classic Country and Americana. With her new 2011 release, Can’t Control Myself, Gina broadens her stylistic palette, infusing even more Soul and Americana into her bedrock influences of Blues and R&B. This CD features seven new Gina Sicilia compositions, as well as three choice covers borrowed from Bobby Bland, Stevie Wonder, and Ike & Tina Turner. Gina’s singing and songwriting continue to break new ground, showing remarkable depth, power, and seemingly unstoppable growth. Can’t Control Myself was produced and engineered by Gina’s label mate, the insanely talented Dave Gross, who also played every instrumental track on the record except for trumpet, sax, and one lap-steel track. Now 25 years old, the genre-defying Gina Sicilia continues to smash pigeonholes into kindling and redefine the boundaries of soulful music. 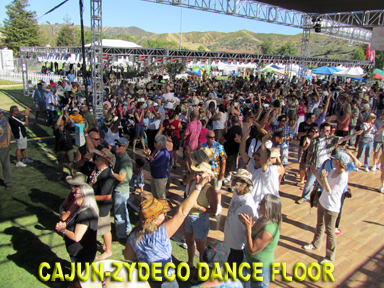 The 22nd annual Simi Valley Cajun & Blues Music Festival in Simi Valley, CA has announced an impressive lineup of performers for the two day event which runs Saturday and Sunday of Memorial Day weekend. The Blues stage features the 6th Annual Delta Groove All-Star Blues Revue. Saturday’s performers include Los Fabulocos featuring Kid Ramos, Mikey Jr. & Stone Cold Blues, Arthur Adams, Ana Popovic, the Mannish Boys Review with Tracy Nelson, John Nemeth and the 44s. 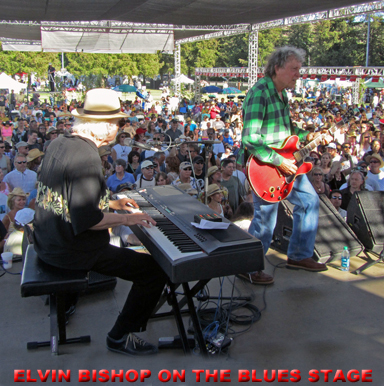 Sunday’s lineup features Elvin Bishop, Maria Muldaur, Cadillac Zack with special guests, the Mitch Kashmar Band, the Kirk Fletcher Band, Big Pete with a tribute to Lester Butler and Shawn Pittman. 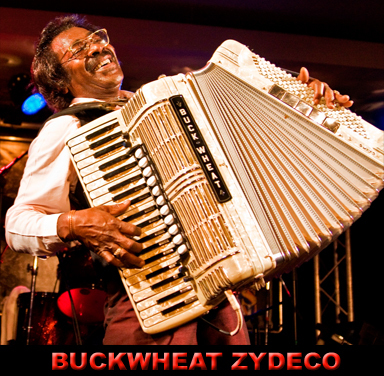 The second stage features Cajun & Zydeco music with Buckwheat Zydeco, Andre Thierry & Zydeco Magic, Lil Pookie & The Zydeco Sensations, Bayou Brothers and Billy Lee & The Swamp Critters. All Cajun-Zydeco performers will be appearing both days. In addition to two stages, each with dance floors, there is a huge kids area with their own stage featuring a variety of talented kid friendly acts. And there are jumpers and crafts just for the kids. Included at the festival are a variety of food choices from authentic Cajun and Creole dishes like crawfish and alligator to traditional barbecue and hot dogs. 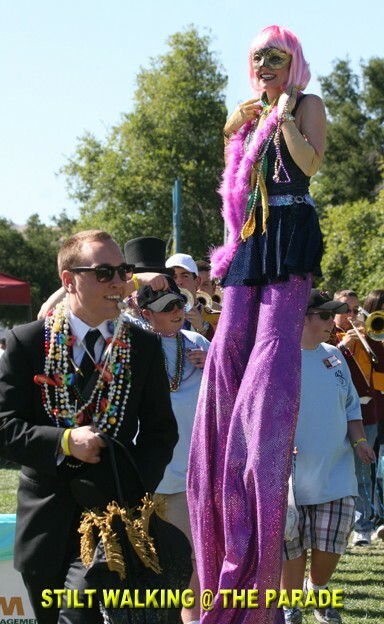 And each day there is a New Orleans style parade with bands, stilt walkers and audience participation. Tickets are $ 18 for adults ages 13 and up, $ 15 for kids ages 5 through 12. Kids under 5 are free. Tickets may be purchased at the event or on-line. For more information and ticket purchases, visit the website at www.cajun-blues.com. The Simi Valley Cajun & Blues Music Festival is produced by the Rotary Club of Simi Sunrise and all proceeds go to charity. Having purchased a very comfortable safari hat with the bluesaholics logo of a martini glass with a blues harp inside at the Irvine Lake Blues Festival, I wore it on October’s legendary Rhythm & Blues Cruise. I heard the comment, “cool hat!” the entire week from my fellow bluescruisers. Hats aren’t the only items with the Bluesaholics logo. They offer both men’s and women’s apparel with very unique designs. Their prices are also quite reasonable. Manuel Cacho and his wife Gloria met through some mutual friends but both knew that they loved music. They love listening to KLON 88.1 and the Saturday Blues broadcasts are what turned them on to their love of the blues. They went to see the legendary Bluesman Stevie Ray Vaughan perform about five times and even took their son Vincent, when he was just seven years old. “ Bluesaholics are a fellowship of blues fans that share and support Blues music. IT’S NOT YOUR FAULT, IT’S A DISEASE. There is no cure or recovery for a Bluesaholic…though there are treatments! Treatment is known as the 12 bar program..” you should go to tier website to view the rest of their clever introduction. There are also links to blues clubs around the country and also to their favorite Blues bands. 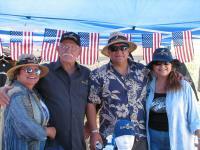 Manuel and his wife loved going to Blues Festivals and met lots of wonderful people there. Bluesaholics was started back in 2004 in Sylmar, CA in the San Fernando Valley after kicking the idea around for many years. There didn’t appear to be any Blues specific apparel on the market except for individual Blues artist merchandise. The Cachos certainly have filled the void. They saw a need for some unique Blues apparel items so Manuel and Gloria started the Bluesaholics Company and their good friends Paul and Kate help them run it. Their son, Vincent, came up with the catchy Bluesaholics logo and since then they’ve branched off with lots of unique designs. Vincent has also done designs for The Delgado Brothers, The 44’s and many others. Manuel said that they started out with just one design for Bluesaholic shirt and that other items and accessories naturally followed. The best part of their business is that “ we meet a lot of good people at festivals and we have a great time and we love the Blues and love supporting the Blues it’s what we’re all about. “Bluesaholics will also be starting a new line of apparel with his Cacho Custom cars (www.cachocustoms.com). Gretsch has already done a photo shoot with Manuel’s custom black 1950 black Mercury for a punk band called Rancid. Manuel also loves cars check out his blue 1962 Ford Galaxie convertible on their website and some of the newer designs will incorporate cars and motorcycles with their famed Bluesaholics logo. Having advertised in the annual Blues Festival Guide, Bluesaholics has received orders from around the world. Look for their apparel booth at the Simi Valley Blues Festival in April (www.simiblues.org) and Irvine Lake Blues Festival in June. Manuel sees an increased interest in the Blues and Loves some new hot shot guitarist like Johnny Main and Gino Matteo. Bluesaholics would love to combine a Blues concert with custom car show in the future as both of these topics are Manuel’s two favorite subjects. Be sure to visit their website at: www.bluesaholics.com and make sure you check out their booth at the various Blues Festivals this summer and you’ll definitely enjoy meeting them and wearing their Blues based apparel as much as I did. James’ husband and sons have been locked in a court dispute over control of the singer's $1 million in savings, with all parties involved saying their only concern is to ensure that James receives proper medical care. In the mind of Chris Thomas King, the old-school method of defining music has made a comeback - not by choice but by necessity. "The industry gatekeepers aren't there anymore," said the 48-year-old, known for pioneering a distinctive hybrid of rap and blues. "Now you've got millions of people putting out work. We're getting back to where we were 100 years ago, before the phonograph business started chopping (genres) up. "Your music is whatever you want it to be." ENGLAND -Thousands of music lovers are set to descend on Swanage for the town’s eagerly-anticipated free blues festival this weekend. Every year for the past decade, blues enthusiasts from across the globe have descended on this historic seaside destination. They come for the intimacy of the small gigs, played in a host of local venues across three days. Festival organiser Steve Darrington told the Daily Echo he regularly welcomes fans from afar as America, New Zealand, Australia and from across mainland Europe, as many of them organise UK holidays around the event. Born and raised in Guatemala, the story goes that it was a fateful trip to New York City that first sparked Gaby Moreno's musical interest. 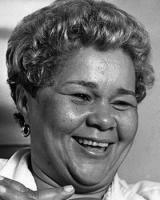 "I heard an African American woman singing a blues song on the street," Moreno said. "I went to the nearest record store, saw they had a blues aisle and bought a bunch of CDs: The first song I put on back home was Koko Taylor's 'Wang Dang Doodle.' When we play live, it's one of my favorite covers." It's been a long time since that first taste of the blues, and Moreno has gone on to do some incredible things - like write the theme song for NBC's Parks and Recreation (co-written with Vincent Jones) which earned an Emmy nomination and being named Best New Latin Artist 2009 by Latina magazine - but at heart little has changed. She's still looking for music that tells her, and her listeners, a good story. 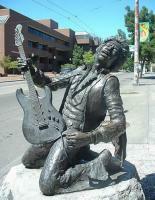 SANTA CRUZ - There have been many contenders, but even 40 years after his death, Jimi Hendrix still remains as the most influential guitarist in rock history. And this year's Santa Cruz Blues Festival is out to prove the point. The Blues Festival announced its lineup for the Memorial Day event and its main attraction is a show called "Experience Hendrix," featuring a collection of impressive musicians reinterpreting the music of Hendrix, who sits at No. 1 on Rolling Stone's list of the 100 greatest rock guitarists. Along for the ride will be Cesar Rosas and David Hildago of Los Lobos; Ernie Isley of the Isley Brothers; Aerosmith's Brad Whitford; former Stevie Ray Vaughan sideman Chris Layton; funk/metal band Living Colour and Billy Cox, the bass player who played alongside Hendrix in Band of Gypsies. Also part of the "Experience" show is guitarists Jonny Lang, Mato Nanji, the Slide Brothers, Robert Randolph and the famously theatrical former Frank Zappa sideman Steve Vai. For those of us who are just at the concerts and music venues to hear the music - an inside look at those who see the music. A series of short interviews with Blues photographers. After all, where would we be without our Blues eyes? Q:What has been the most difficult shot you've taken? A: That's an easy one. It's the musicians who don't budge an inch. The same pose all the time. I'm not knocking, but I am limited in my options. There are only so many pictures you can take and I take one from every angle I can think of. I would say frustrating more than difficult. Maybe I'm answering the next question but cats like Ed Williams of Little Ed and the Imperials are no problem at all. With Ed you never get the same picture twice. He's always on the go with a big smile on his face. Davina Sowers of Davina & the Vagabonds lights the place up and it transfers to the photos. 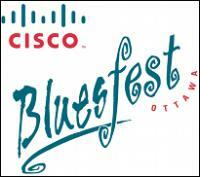 OTTAWA (CelebrityAccess MediaWire) -- Cisco Ottawa Bluesfest organizers announced a call for submissions for their 'She's the One' Emerging Female Artist Competition. The contest will be sponsored by Ottawa's EZ Rock 99.7. The competition is a cross-Canada talent search for the best in emerging Canadian female music talent. With the help of EZ Rock 99.7, Bluesfest is looking for promising female Canadian singers/songwriters or bands with female lead-members of any age. Funky Florida bluesman JJ Grey gets in the bunker with Elwood to talk about his CD Georgia Warhorse. 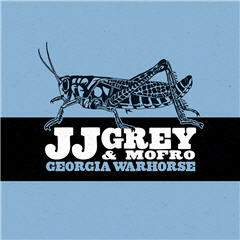 Elwood learns what a Georgia warhorse is, where Mofro came from, and the ever-changing meaning of swamp rock. 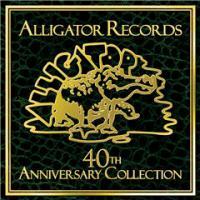 Plus: a little Creedence Clearwater Revival, Tony Joe White, Toots and the Maytals, and Buckwheat Zydeco. 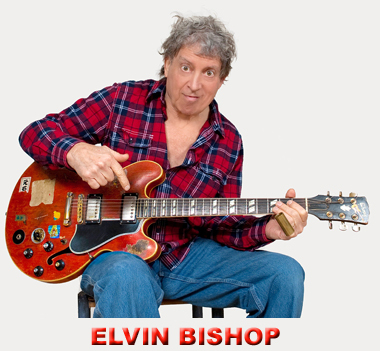 You will hear new music from guitar virtuoso Billy Thompson. Right here on this website, right now, there is a chance for you to win the re-issue of Magic Sam’s classic 1967 album, West Side Soul. St. John, U.S. Virgin Islands, U.S.
www.TexasBluesfest.com International "Blues & Arts Fiesta"
San Felipe, Baja Norte, U.S.